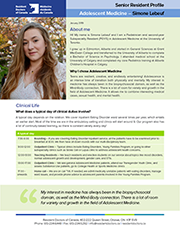 These first-person accounts are intended to help learners with their career decision-making process. 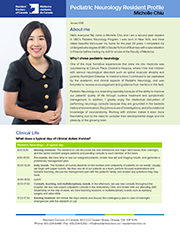 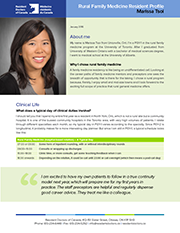 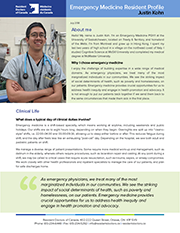 The story-telling format presents a “true-to-life” description of what it is really like to be a trainee or practicing physician in various specialties by presenting the personal experience of a Resident Doctor or New-in-Practice Physician. 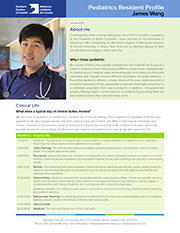 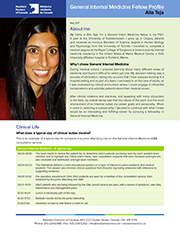 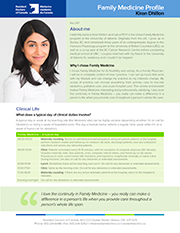 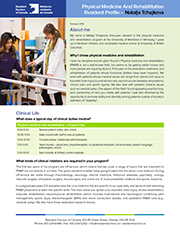 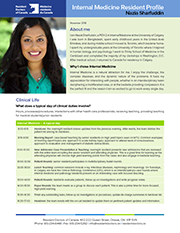 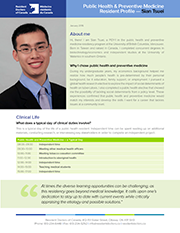 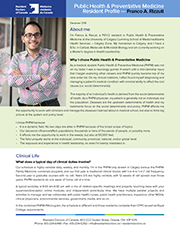 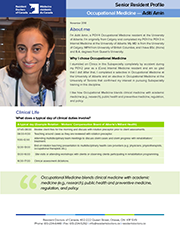 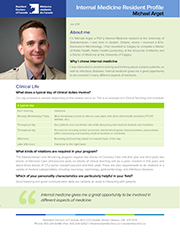 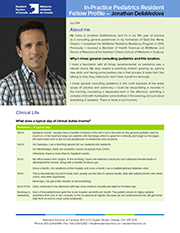 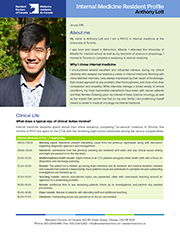 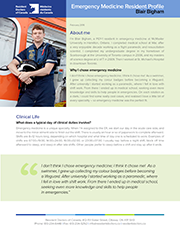 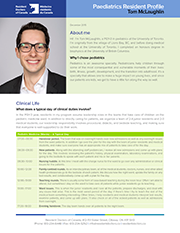 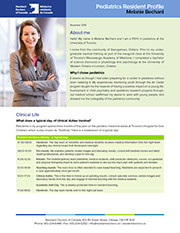 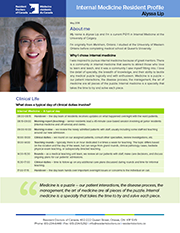 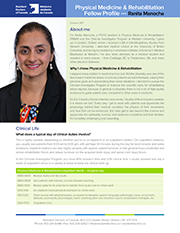 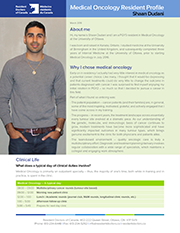 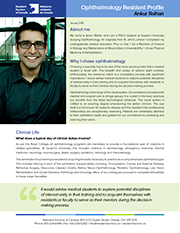 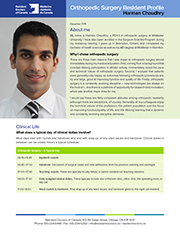 The Canadian Medical Association website features profiles for more than 35 medical specialties. 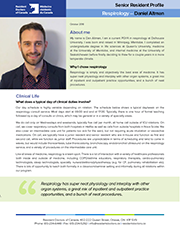 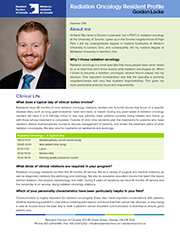 Each contains information about training requirements, demographic trends within the specialty, information about specialists’ practices, levels of satisfaction, and more. 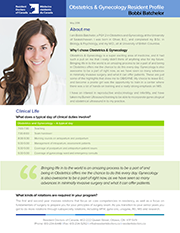 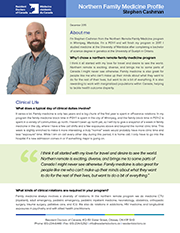 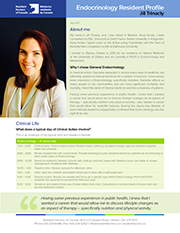 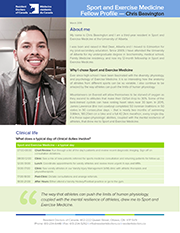 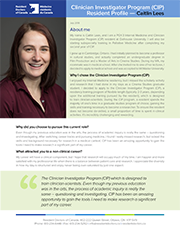 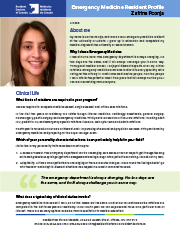 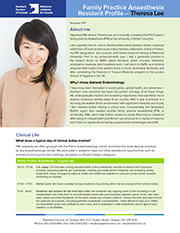 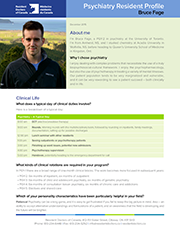 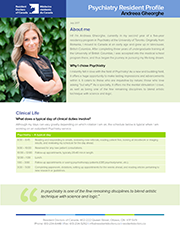 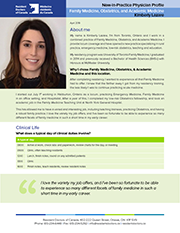 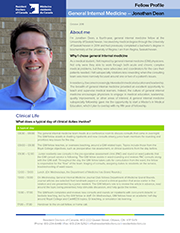 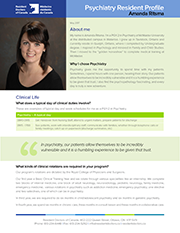 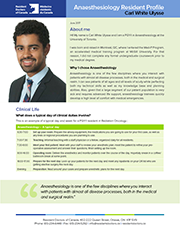 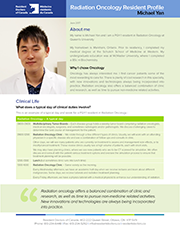 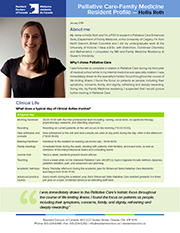 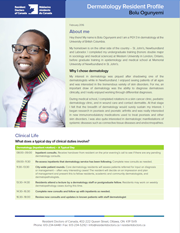 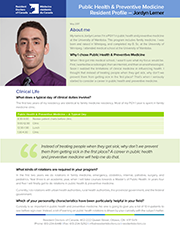 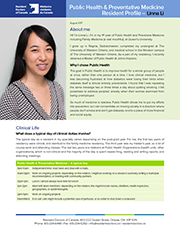 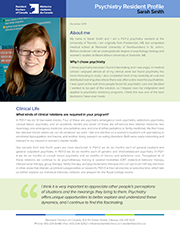 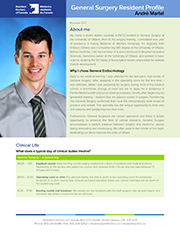 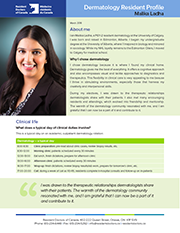 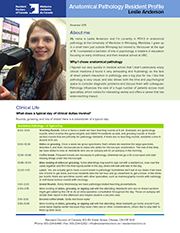 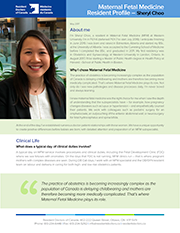 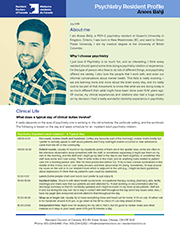 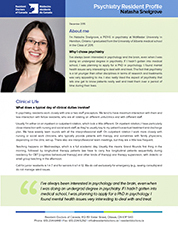 Available online at https://www.cma.ca/en/pages/specialty-profiles.aspx. 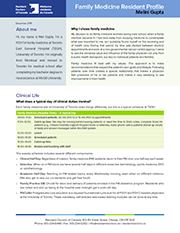 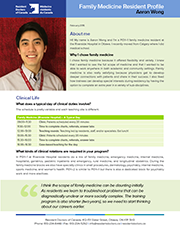 Another useful resource is the Canadian Medical Residency Guide. 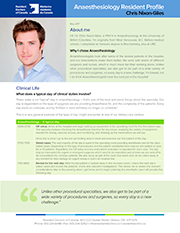 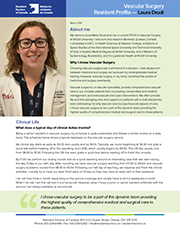 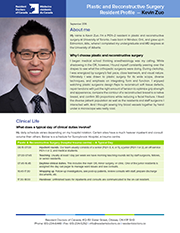 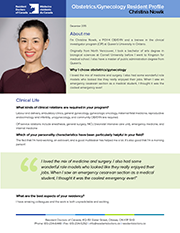 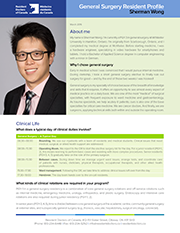 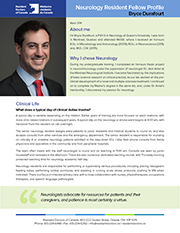 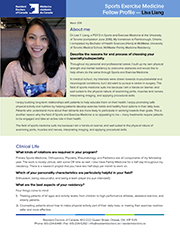 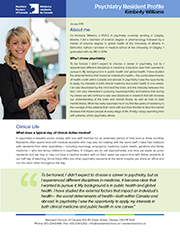 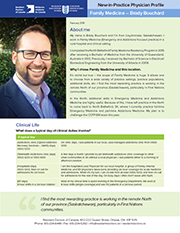 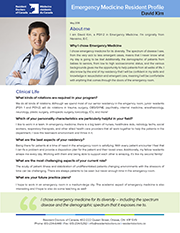 Disclaimer: These specialty profiles illustrate some aspects of the lives of individual residents/physicians, and convey their personal perspectives on the challenges, opportunities, and rewards of their chosen fields. 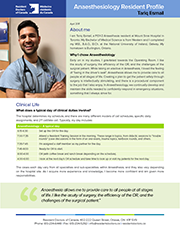 These views may not be shared by all residents, as there is tremendous diversity in lifestyle, experience, and interest among the residents in each specialty.